A predawn blaze scorched two neighboring homes this morning in Chula Vista, but occupants in both houses escaped without injuries. The fire erupted a little after 3 a.m., burning the homes on Helix Avenue between Interstate 805 and Hilltop Drive, NBC7 reported. 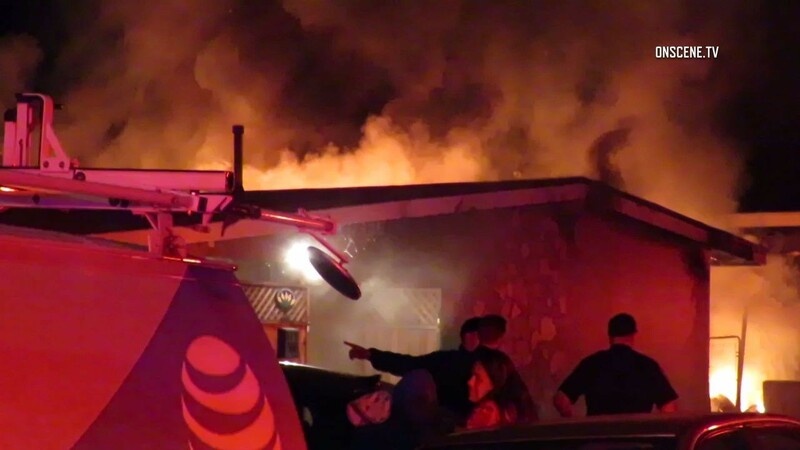 A friend of a sleeping woman inside one of the houses was just returning from Black Friday shopping when he noticed the fire and called his friend, 10News reported. The call awoke the sleeping woman, who was able to rouse her mother, father and brother and lead them to safety. The occupants of the other home also evacuated without injuries, 10News reported. The blaze was under investigation Friday morning and the American Red Cross of San Diego had responded to help the displaced families.